Okehazama Shrine (桶狭間神明社) is located in Okehazama. 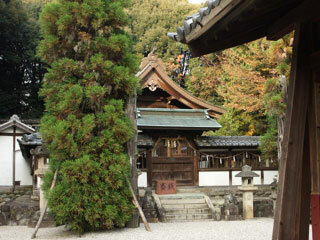 The village of Okehazama was founded by Ochimusya, run-away samurai from Namboku era in 1340. This shrime was also built by them for their spiritual homeland. During the battle of Okehazama, Sena Ujitoshi prayed his victory and gave Sake barrel.